I BEG YOUR PARTON?! ADDIE SINGS DOLLY! Hey Hey! It's Dolly's Birthday, and we're celebrating like it's 1946! 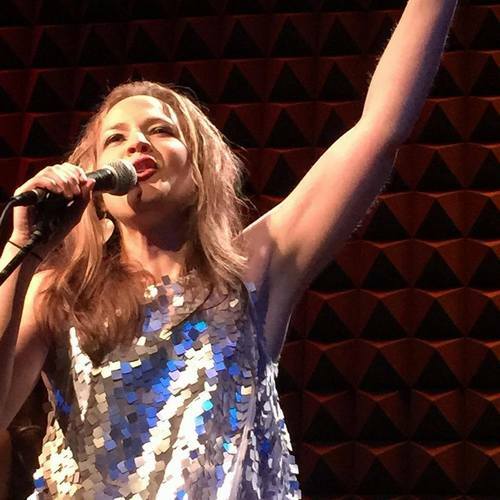 Joe's Pub hosts the fourth annual "I Beg Your Parton?! 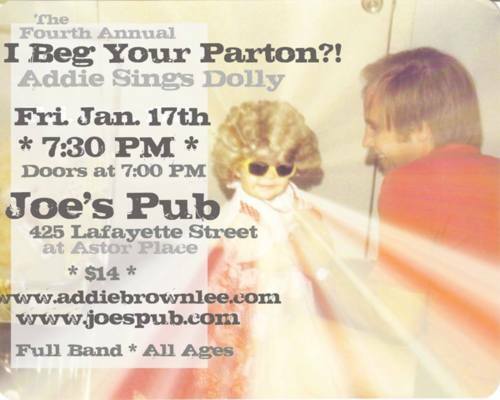 Addie Sings Dolly"
Can't wait to see you at our THIRD Annual I Beg Your Parton?! 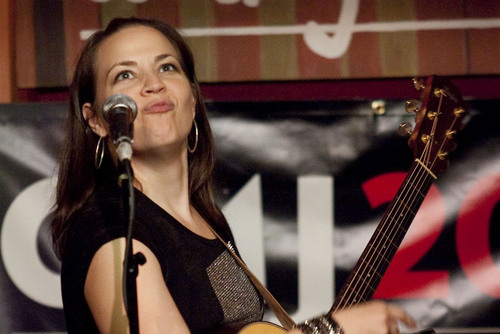 Addie Sings Dolly!! Tickets are on sale now for The Second Annual I Beg Your Parton?! 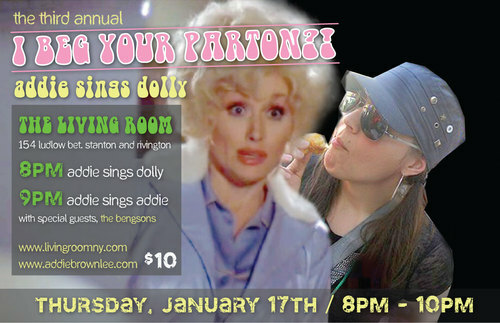 Addie Sings Dolly at The Living Room on Thursday, Jan. 19th. You can purchase yours at TicketWeb.